Several members of the Philanthropy Northwest delegation in front of the Capitol building during Foundations on the Hill. 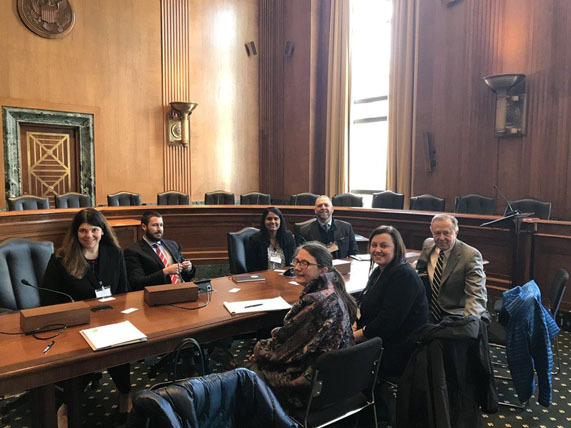 In mid-March, fourteen Philanthropy Northwest members and staff convened in Washington, DC, as a delegation for Foundations on the Hill (FOTH). Organized by United Philanthropy Forum, in partnership with the Alliance for Charitable Reform and Council on Foundations, the event brought together nearly 250 philanthropic leaders from across the country to raise a collective voice to Congress about the key policy issues impacting philanthropy and the communities in which we serve. FOTH is an annual priority for Philanthropy Northwest’s public policy and advocacy programming. This year, there was a palpable sense of urgency with a focus on several recent and active legislative discussions. A universal charitable deduction – which would benefit all taxpayers, not just those who itemize their deductions – was not in the tax bill Congress passed at the end of 2017, and the projected reduction of billions of dollars of charitable giving continues to be a major concern for our sector. In addition, the week we arrived on the Hill, the Johnson Amendment, which protects charitable organizations from politicization, was facing the threat of repeal despite the charitable sector’s success in keeping a repeal out of December’s tax law. Our timing was also opportune for addressing Census 2020. We expressed concerns about resources allocated for Census 2020 and the Department of Justice’s proposal to add a citizenship question to the census form. As our delegation member Dana Arviso, executive director of the Potlatch Fund in Seattle, WA, said, “The Census numbers are essential in determining not only federal funding formulas, but within the philanthropic sector, too.” She spoke about how the addition of a citizenship question would contribute to the significant undercount already impacting communities of color and immigrant communities. The Philanthropy Northwest delegation meets with Senator Patty Murray. Over two days, our delegation had 13 meetings with senators and members of Congress representing our states (Montana and Washington) and districts, as well as legislative staff from the Senate Finance Committee, Senate Indian Affairs Committee and Congressional Tri-Caucus (which comprises the Congressional Asian Pacific American Caucus, Congressional Black Caucus and Congressional Hispanic Caucus). In addition to our top legislative priorities, our delegates shared the range of work they and the broader Philanthropy Northwest network are doing around other important issues, from our commitment to diversity, equity and inclusion, to education, housing and workforce development across urban, rural and Native communities. The Philanthropy Northwest delegation meets with Congresswoman Pramila Jayapal. Speaking to lawmakers as a delegation, rather than just as individual organizations, strengthened our voices. Philanthropy Northwest delegate Michael Cheever, the interim president and chief advancement officer of College Success Foundation, which has locations across Washington state and in the District of Columbia, said, “There is power in numbers . . . I think it was particularly effective to have members from around the region representing different groups and missions,” to reinforce that the issues have a broad impact across our region. The Philanthropy Northwest delegation meets with Senator Ron Wyden’s office. 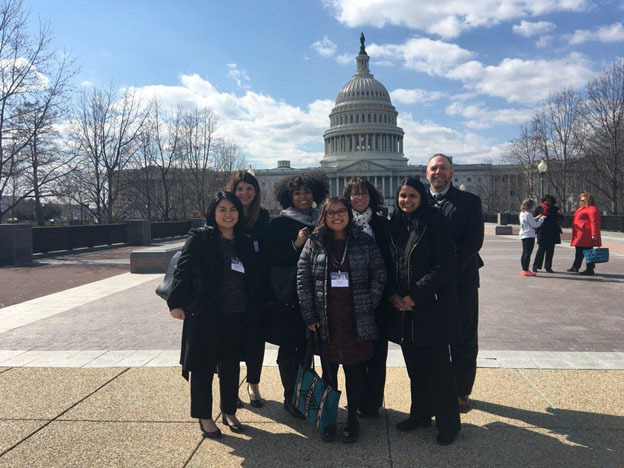 We came back to the Northwest feeling invigorated about advancing the discussions with our lawmakers and identifying specific opportunities to convene with them and engage other Philanthropy Northwest members who could not join us in DC. Shortly after FOTH, Congress passed an omnibus spending bill that included a major increase in Census Bureau funding for the year and left the Johnson Amendment intact. These are significant achievements for the collective advocacy during FOTH, and more broadly across the charitable sector, of which we can be proud of Philanthropy Northwest’s contribution. Our ability to be effective resources and educators to lawmakers, and advocates on the policies we care about, relies upon building the important relationships we strengthened during those two days on the Hill. We look to Philanthropy Northwest’s broad and diverse members to partner with us in continued discussions with our members of Congress in our home states and districts, as well as at FOTH 2019. Mark your calendars for DC next March!